We are manufacturing all type of Power Brushes as per customer requirement. Power Brush is used for various purposes such as cleaning, sweeping, and vacuuming. The range of power brushes are ideal for hard surfaces, artificial grasses, this ensures high performance. The varieties of sweeper collections includes snow ploughs, scrappers, ride on seat, gully brushes, etc which can be used both for domestic and industrial purpose. Wheels: Crimped, Knotted, Fibre, Nylon. 1" to 15" diameter. Cup: Crimped, Knotted 2-3/4" to 6" diameter. Tube Brush: 1/8" to 2-1/4"
POWERClean (your home) is Handiman’s highly beneficial and popular total cleaning service product which is sought frequently by hundreds of house owners. In fact, we have a huge list of loyal clientele for our POWERClean service who calls us repeatedly for the service. POWERClean is about keeping the living spaces clean, neat, bright and inspiring. Uses- For the application of tyre paste and grease. 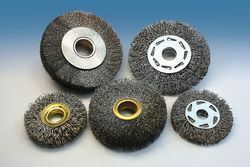 With our rich experience in this domain, our enterprise is offering a vast assortment of Encapsulated Brushes. 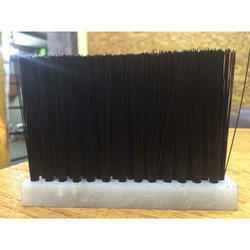 Further, these brushed are available at pocket-friendly price to the end user. Aimed at a prosperous growth in this domain, we are instrumental in offering an excellent quality range of Industrial Power Brushes. In line with clients' variegated requirements, we bring forth a distinguished collection of the Industrial Power Brush. - Used for polishing and texturing.